​Air Cargo Industry and Government Officials from all over the world gathered in Bangkok this week at the International Air Transport Association (IATA) ‘Cargo Security & Facilitation Forum’. The 2-day eventcovered a variety of topics; such as E-Commerce, Emerging Technologies, Trusted Trader Programs, Regulation, and Security. 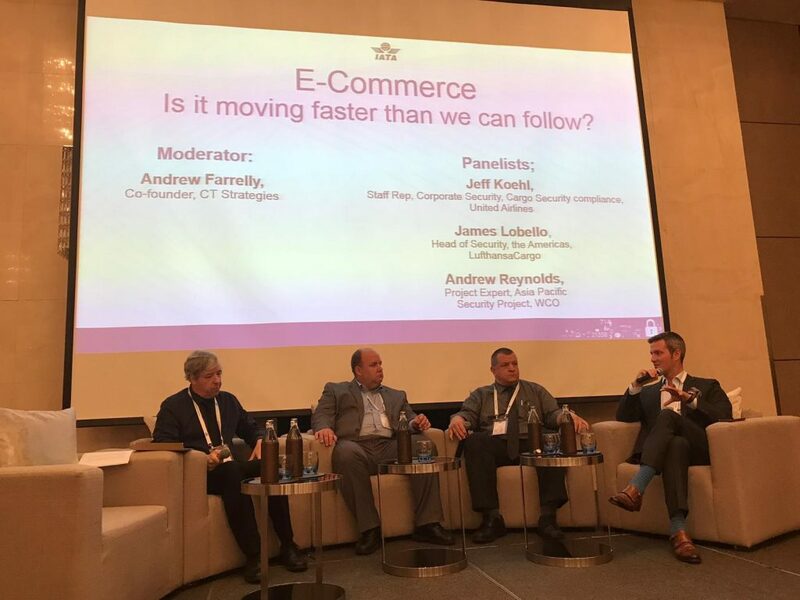 CT Strategies’ Andrew Farrelly moderated the E-Commerce panel with representatives from Lufthansa, United Airlines, and the World Customs Organization. Discussion focused on the different approaches Customs authorities around the world have been taking to deal with the growth of e-commerce and how the July 2018 WCO Framework of Standards on Cross-Border E-Commerce will impact stakeholders. Advance information-sharing was a consistent theme throughout the conference. Panelists discussed the importance of balancing the submission and collection of Advance Cargo Information (ACI) and Pre-Loading Advance Cargo Information (PLACI) to allow for enhanced risk assessments by CBP and other Customs authorities, while minimizing disruption on an industry that relies heavily on speed. More countries are now requiring advance data sharing for air mail cargo, which has created additional challenges for the industry. Farrelly also moderated a panel on Physical Security of Airside Cargo Facilities, with representatives from Corposec, ICAO, UPS, and Bernardi & Schnapp. Discussion focused on minimizing security risk at facilities and what efforts industry and government stakeholders could take to shore up security gaps. Best practices and personnel training can often be put in place for less cost than many realize, while more than making up for the savings in loss prevention. IATA consists of almost 300 airline members, representing 117 countries.